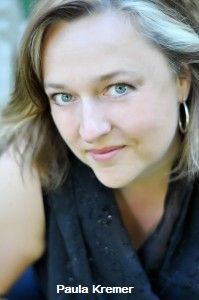 The opening concert of the 2014-2015 Vancouver Cantata Singers season explored choral masterpieces by composers who were considered neo-classicists. The first part of the concert started off with a solid performance of Bach's Komm, Jesu, komm, Stravinsky's Three Liturgical Works, and Poulenc's Exultate Deo, Op. 109. I was particularly impressed and amazingly surprised by the ensemble's delivery of Romanian composer G. Orbain's Daemon irrepit callidus taken from a 1230 text of Carmina Burana. The first half of the programme ended with, Bach's Singet dem Herrn, delivered with panache, and an ideal example of excellent intonation and ensemble singing. Mozart was said to have commented, "Now there is something one can learn from." The main feature of the programme was the last piece in the second half, Mass for Unaccompanied Double Choir (1922 – 1924/1926) by the Swiss composer, Frank Martin. The double choir singers delivered Martin's Mass with precision and clarity in acapella style. This Mass is universally considered one of the great choral masterworks of the 20th century. As a prelude to this masterpiece, the singers sang a piece, Yih'yu l'ratzon by Jewish composer Ernest Boch, This brief choral composition was based on Psalm 19:15. 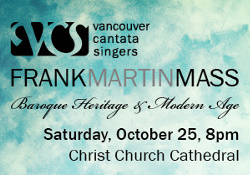 Vancouver Cantata Singers was founded in 1957, and has become one of Canada’s preeminent choral ensembles.Over the past four years, the Vancouver Cantata Singers have placed first in their categories in the National Competition for Canadian Amateur Choirs, and have twice won the Healey Willan Grand Prize.